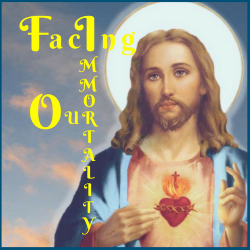 We are starting our monthly Facing Our Immortality Cancer Ministry Support Groups on August 13, 2018. They will occur each month, on the second Monday of the month, for now. We have been doing quite a bit of planning to ensure that this is a safe and loving environment for people who have been affected by cancer. We are open to patients, survivors, caregivers, spouses and surviving spouses. Sr. Anne Marie has created a lovely workbook that walks us through prayer and spiritual exercise that brings us closer to God. It is in facing our immortality that we release ourselves of our fears. Please join our Men’s Cancer Retreat October 5-7, 2018 at Mother Cabrini Shrine. Please complete this registration form to attend: Men’s Cancer Retreat Registration Form.